Now that he's ditched the Super Bowl-winning Patriots for a homecoming (and a lot of cash) in New York, Darrelle Revis wants to make a few things clear. No, it's not all about the money. But it's not entirely about the rings either. 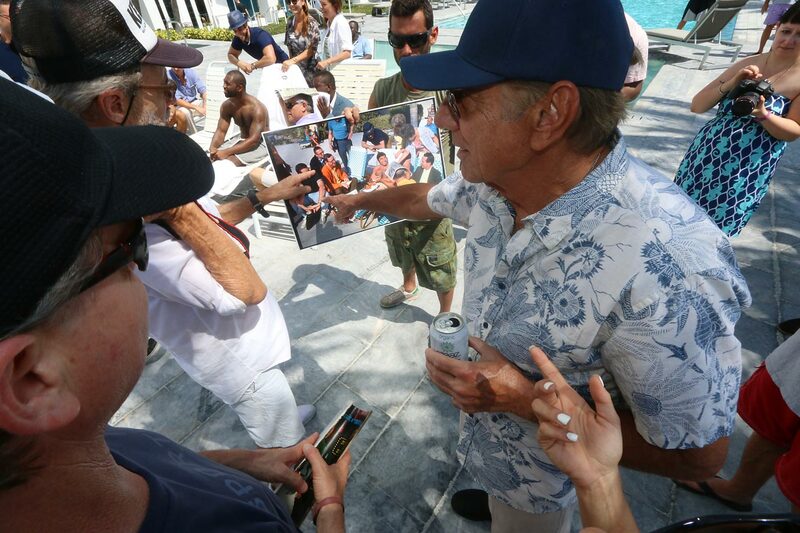 It's about winning the negotiation ... and, the Jets hope, following in Joe Namath's footsteps. This originally ran in the July 27, 2015 issue of Sports Illustrated. Click here to subscribe. 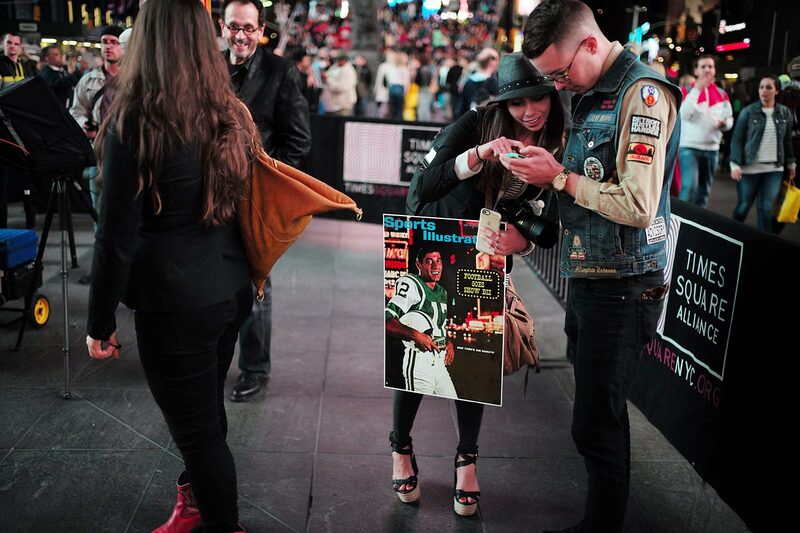 Darrelle Revis strolls past the baby-blue Lincoln convertible blasting Frank Sinatra; past the dude flexing his pecs for donations; past the naked women, their bodies painted with stars and stripes; past the billboards, the taxis, the tourists. . . .
“You like stand-up comedy? . . . Shortly afterward, Minnie Mouse stops Revis for a picture. It’s safe to assume that she’s not aware he re-signed with the Jets this off-season on a deal that runs five years and will push his career earnings into nine-figure territory by season’s end. Or that he won a Super Bowl last February with the Patriots. To Minnie he’s just another mark. 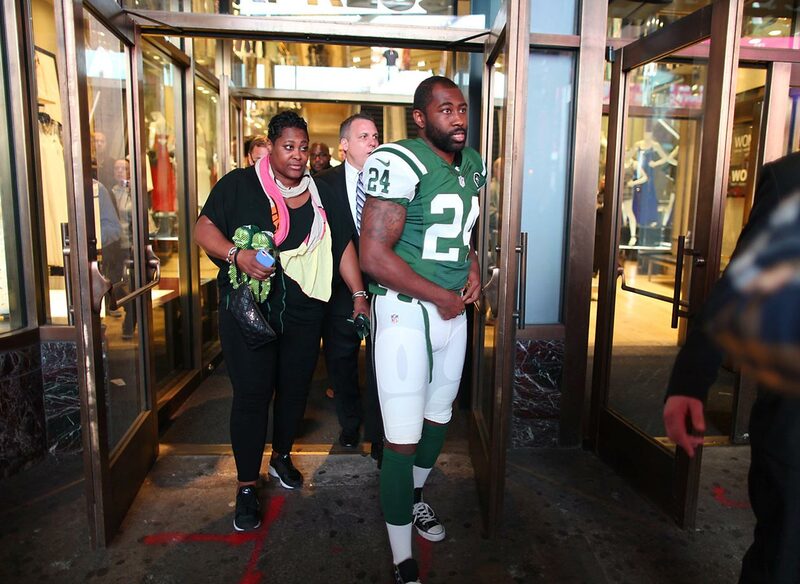 Photos are snapped, and Revis walks again. Minnie follows. Like, really follows—with hand extended, for several blocks, much in the same way Revis shadows his marks, NFL receivers, on fall Sundays. 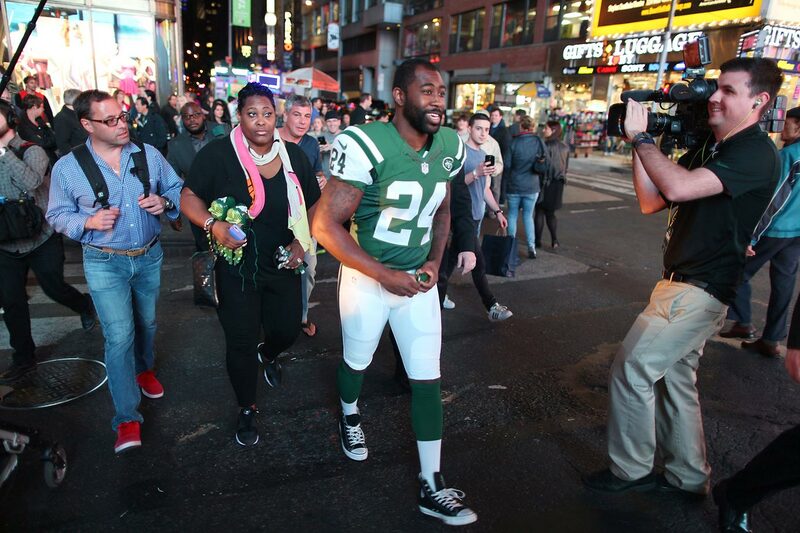 Revis isn’t carrying any cash, so his only escape is to hop back inside a waiting town car, escaping into the traffic of the borough that former mayor Michael Bloomberg christened Revis Island way back in 2010. “I’m going to have Minnie Mouse nightmares,” he says as he slides into the front seat. A near altercation with an imposter Disney -character—it’s not the Welcome back! moment you’d imagine for a four-time All-Pro at the pinnacle of his game. But this is exactly what Revis wanted, to return to the team that drafted him and the crazy city that adopted him, the place where he always wanted to finish his career. He still remembers the first time he drove into Manhattan as a newly drafted Jet, with his cousins from Jamaica, Queens. They ate at a TGI Fridays. His first rookie mistake. Now Revis is back, and everything is different. Dinner is at Balthazar, the famed French brasserie in Soho where Revis sips Jameson on the rocks and scoops escargot onto his fellow diners’ plates. 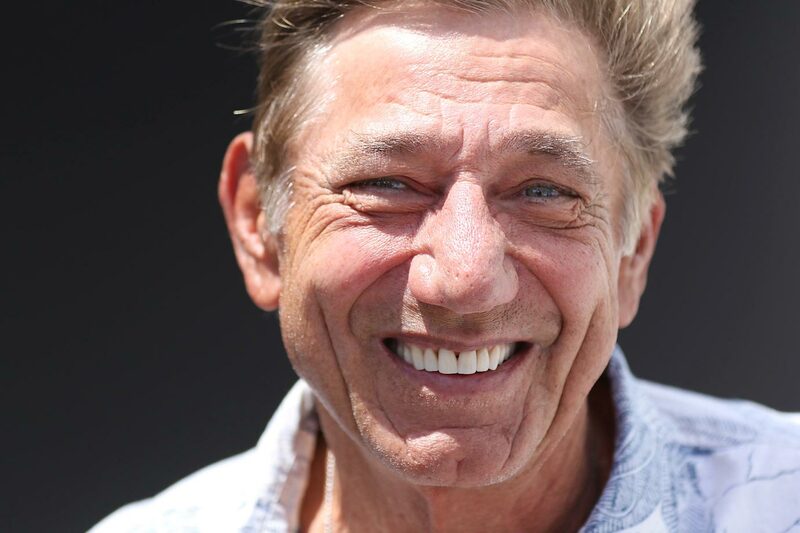 Jets fans—the same ones who derisively branded him Me-Vis or Revi$ or Mercenary—welcome back their imagined savior to a franchise that last won a Super Bowl in 1969, behind another star from western Pennsylvania, Joe Namath. That Revis ever left seems to have been forgotten. He made his millions, he won a title and now he’s back to finish what he started. 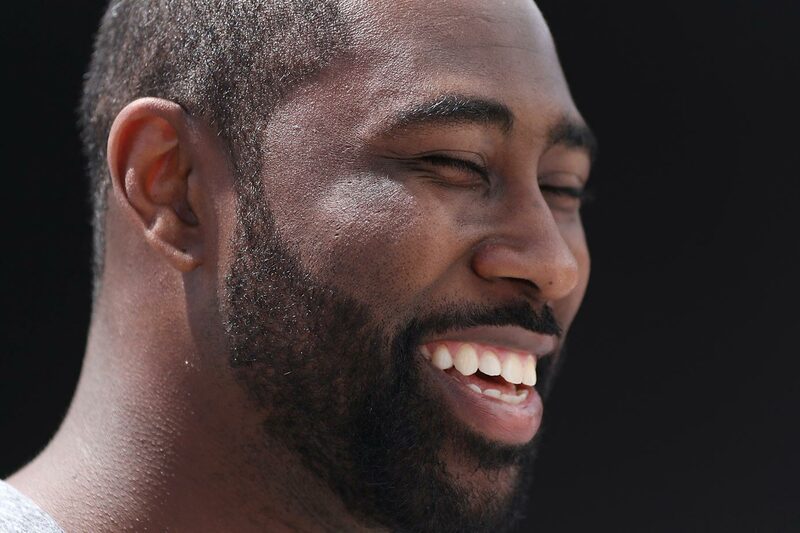 “I feel like I’ve been on the road the last two years,” Revis says. “I never wanted to leave. Revis hates the “mercenary” label. In his mind, people who call him that believe that he plays only for money. He says this in the lobby at the Cosmopolitan in Las Vegas. He’s in town for the Floyd Mayweather–Manny Pacquiao fight in early May, having arrived on a private plane with new teammate Brandon Marshall and a few other close friends not long after closing a Jets practice with an interception of Geno Smith. 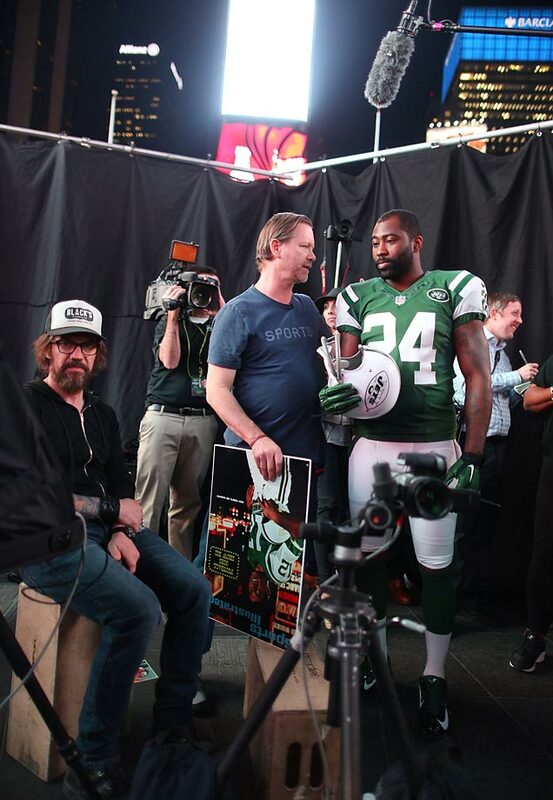 Later, Revis is introduced to a pair of high rollers. They paid $100,000 apiece for ringside seats, and they’re carrying a money gun that shoots out $20 bills. Revis politely declines their offer to let him fire it. What he’s not sharing: He came to Vegas simply for the atmosphere; he didn’t splurge on tickets. 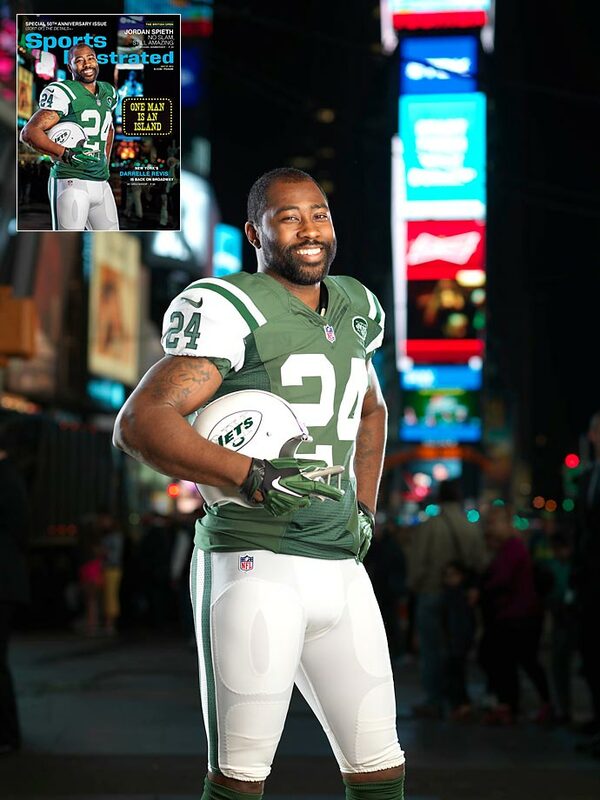 Money isn’t Revis’s favorite subject, but it’s not one he can avoid. It’s been the dominant theme of his career. He’s more than a modern-day cover corner reminiscent of his idol, Hall of Famer Deion Sanders, who played for five NFL teams. He’s the most modern of modern athletes, an unsentimental businessman who demands to be paid exactly what he thinks he’s worth. Since the Jets traded him to Tampa Bay in April 2013, Revis has signed three contracts with three teams for $68 million in guaranteed salary. He earned $17 million in ’13 ($1 million from the Jets, the rest from the Buccaneers) and $12 million in ’14 (from the Patriots), and he will accrue at least $39 million in his latest deal with New York. Should he play all five seasons of this pact, he would push his career earnings to $155 million. That’s quarterback money—and it doesn’t even account for endorsements with the likes of Nike and Bose. Through eight seasons Revis has banked $85 million. He’s earned more than all but two players in his 2007 draft class: Calvin Johnson and Joe Thomas, who play two of the highest-paid positions in football, receiver and left tackle. Three-time All-Pro running back Adrian Peterson has made $13 million less. If Revis were a lawyer, an entrepreneur or a hedge-fund manager, he would be lauded for his business acumen and negotiating skills. But in the world of pro football he’s seen as someone who refuses hometown discounts and holds teams hostage to boost his salary. Depending on who’s talking, he’s a genius or an All-Pro for hire (there’s that mercenary thing again) or simply an -outlier—sometimes all three at once. 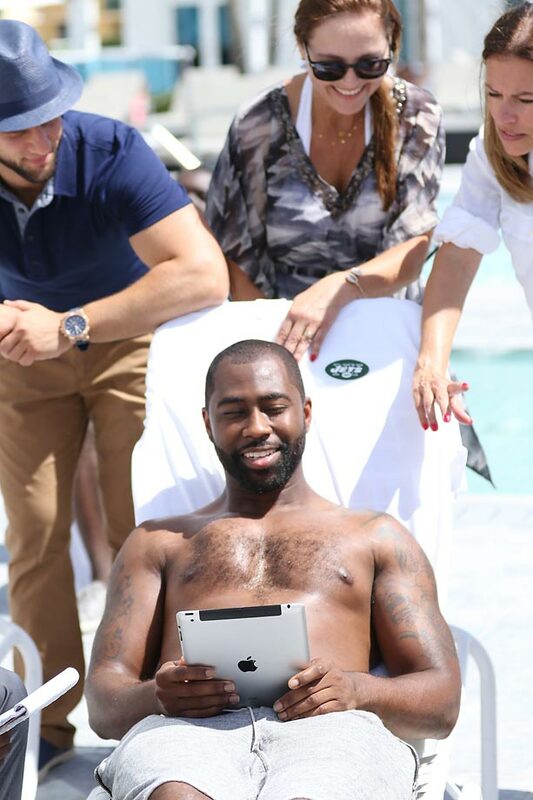 Revis sees the NFL as he does any other business. It’s a fallacy that all anyone wants to do is win. Everyone wants to win, but also to cash in—and not necessarily in that order. He knows that sounds selfish. He doesn’t expect sympathy. The NFL Players Association, he points out, bargained for the current labor agreement, one that Revis has worked to his advantage the way few non-QBs have. On the plane to Vegas, Revis and Marshall bantered about being envious of “how the NBA does business,” Revis says, referring mostly to the guaranteed money in that league’s contracts. “We’re really jealous of that. 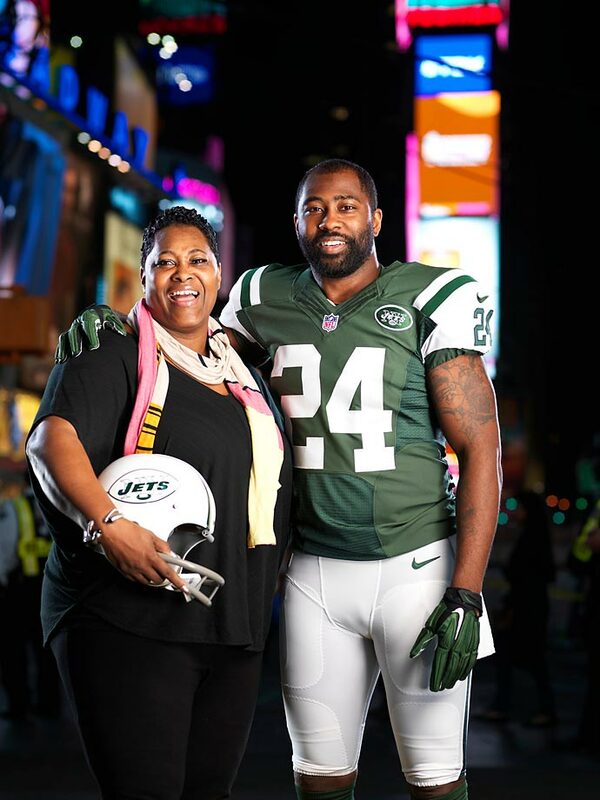 In 1997, when he was 12, Revis lived in Aliquippa, Pa., a depressed former steel-mill town outside Pittsburgh. His uncle, Sean Gilbert, was in town that fall, which was strange because Gilbert was a Pro Bowl defensive tackle who’d been taken with the third pick in the ’92 draft. That fall, as Gilbert hunkered down in Aliquippa, he surrounded himself with family. There was his brother Mark, who played basketball at Duquesne; his sisters, Diana and Tamu; and the family matriarch, his mother, Aileen. Diana, a high school track star, could still beat Gilbert in a footrace. Her oldest son, Darrelle, sketched and collected model antique cars and schooled adults in chess. Later, he played basketball well enough that Western Kentucky offered a full ride. Throughout, he trained in Aliquippa’s pastime, football, and joined its chief line of export, NFL players like Gilbert, Mike Ditka, Tony Dorsett and Ty Law. Revis helped fill the trophy case at the local high school with yet another state football championship. Ultimately, he played football well enough to give up basketball, his favorite sport. The family made decisions as a unit. Everyone had a voice. They came to borrow from a Snickers ad: They’d bring a candy bar to every family meeting, placing it in front of anyone who needed to pipe down—a high-calorie timeout. As Revis progressed through high school to the NFL, that group mentality carried on. The family pushed him to run hills and perform the same drills for months on end. They called him a slouch—Gilbert did, anyway—until only a couple of years ago. They also shielded Revis from the dangers of Aliquippa’s streets. Or tried to. 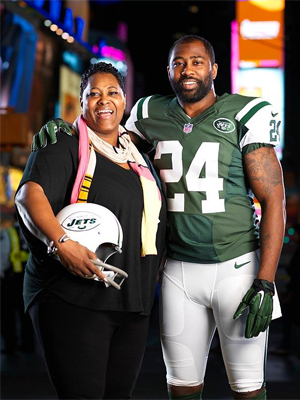 Home on break during his sophomore year at Pittsburgh, Revis stopped at a convenience store and found himself between rival gangs as they traded flurries of bullets. Somehow he managed to escape unharmed. 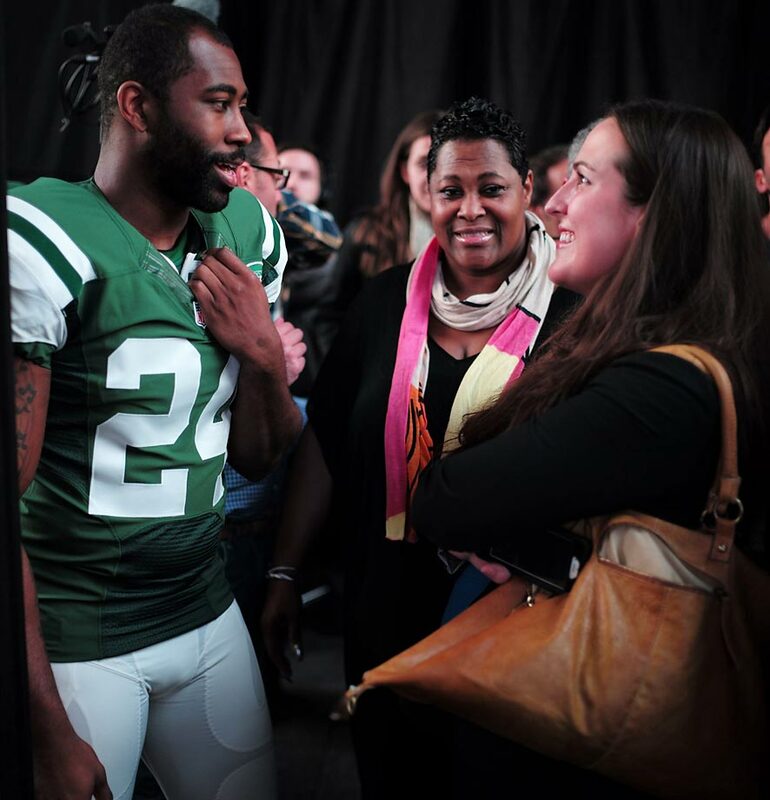 Revis’s story speaks to a central question that every athlete must confront: Where do my loyalties lie? For him, the answer lies with the most important team he has ever been part of: his mother and her four siblings (or the Revis Mafia, as one of his trainers puts it). 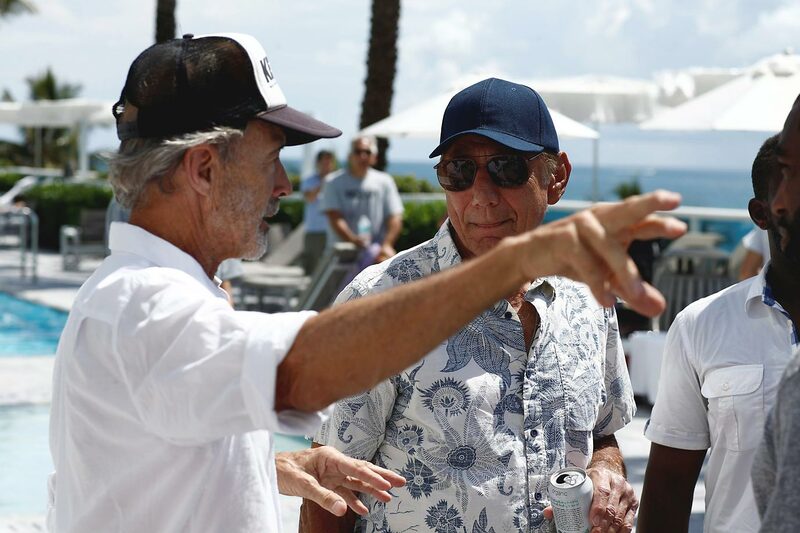 His inner circle today includes his two agents, Jonathan Feinsod and Neil Schwartz, plus a cousin, Jimmy Moore. But otherwise it has gone unchanged. That core group remains united, especially in its approach to the business end of football. Revis will express displeasure with his contract, or stage a holdout, if necessary. Heck, Feinsod and Schwartz held out their very first client, a fifth-rounder named Rob Waldrop, for an extra $500 in 1994. After the Jets drafted him in 2007 with the No. 14 pick, Revis held out before he signed his rookie deal. That impasse lasted 21 days. He held out again before the ’10 season, missing training camp and all four preseason games. He’s even developed what can best be described as a holdout ritual: He heads to Florida, walks the beach and rides Jet Skis like some real-life Kenny Powers. “It’s peaceful,” he says. “Out in the ocean. Water crashing on the shore. Seagulls. Fish. Flash forward to 2012, Week 3 in Miami. Revis had missed the previous game dealing with a concussion he suffered in the season opener. Then, against the Dolphins, his left cleat caught in the turf as he planted, and his knee twisted as he fell. The injury burned for about 15 seconds, then went numb. He knew. Something was wrong. In his first rehab session, days after the procedure, Revis bent his knee an inch. The second day, two inches. Each day he made a little progress, and eventually he met with New York’s new general manager, John Idzik, who’d replaced Tannenbaum that January. 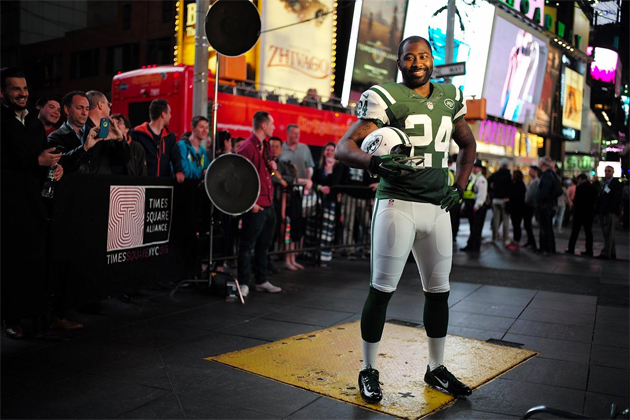 Revis expressed his desire to remain a Jet and noted that he was still under contract. Within 48 hours the Jets traded him to the Bucs. 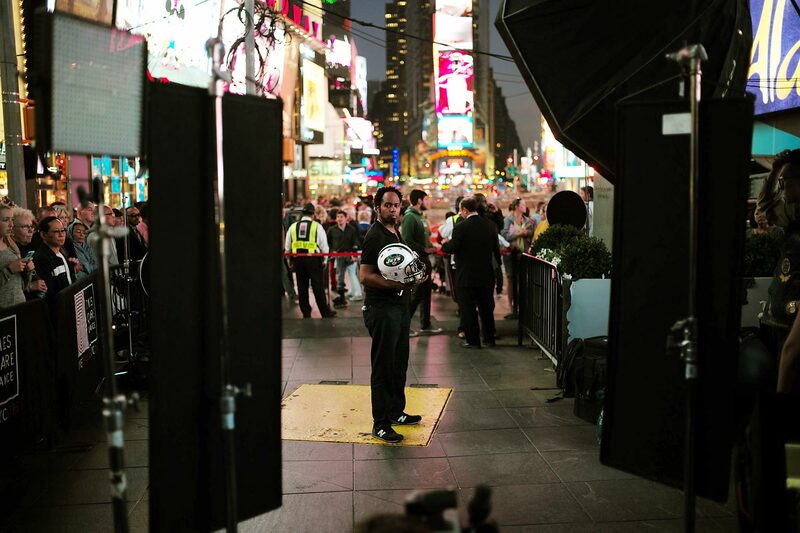 Back in Manhattan, Revis stops at a private showroom on 38th Street. He’s shopping for a suit. Only, the elevator is out of order, and as he climbs to the fifth floor, he crouches to stretch his knees. “I’m going to need disability when I’m done,” he jokes. Inside Musika Frère, a luxury menswear boutique, Revis admires the bright jackets, the elaborate patterns, the lycra mixed with silk. He balks at one piece lined with fur. “Y’all got some loud stuff,” he says. 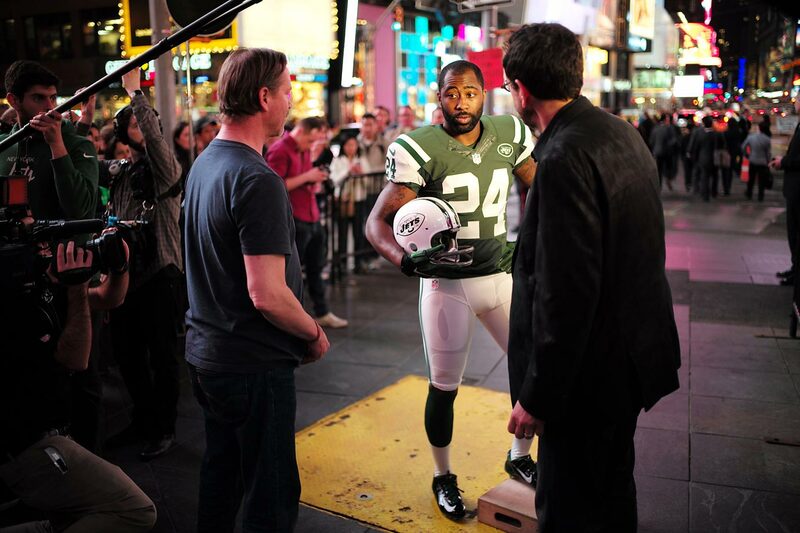 Revis understands what it’s like to change uniforms like they’re suit jackets. After the injury and the trade, he signed an unusual agreement with Tampa Bay: six years, $96 million, not a single dollar guaranteed. Revis bet on himself, and that he would not suffer another injury. But he felt strongly that the first- and fourth-round picks the Bucs had given up to obtain him made it unlikely they would release him. Until they did. After just one season. 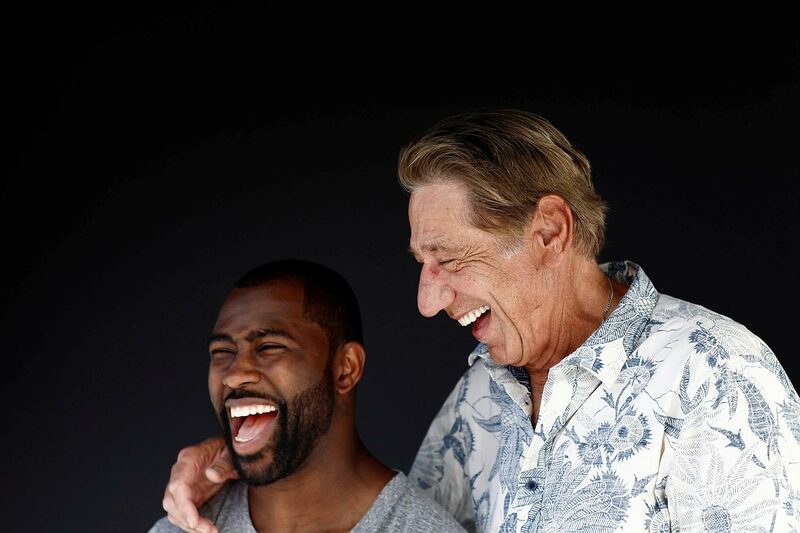 Revis never fit in Tampa. By his own admission his knee wasn’t healthy. The Bucs started 0–8. Their Cover Two defensive scheme meant that Revis blanketed portions of the field more often than he did elite receivers, as had been his forte in New York. His lost season can best be summarized by the jersey Revis signed for one Tampa exec on the way out. “Thanks for letting me leave,” he wrote. Two teams wanted to take on the contract Tampa had given Revis, but he scuttled both deals because he didn’t think either club could contend. Instead, he signed a one-year free-agent deal with the Patriots that included a team option for a second season at $20 million. No one, not even Revis, expected New England to pick up that option, a demonstration of how deceiving NFL contracts can be on the surface. 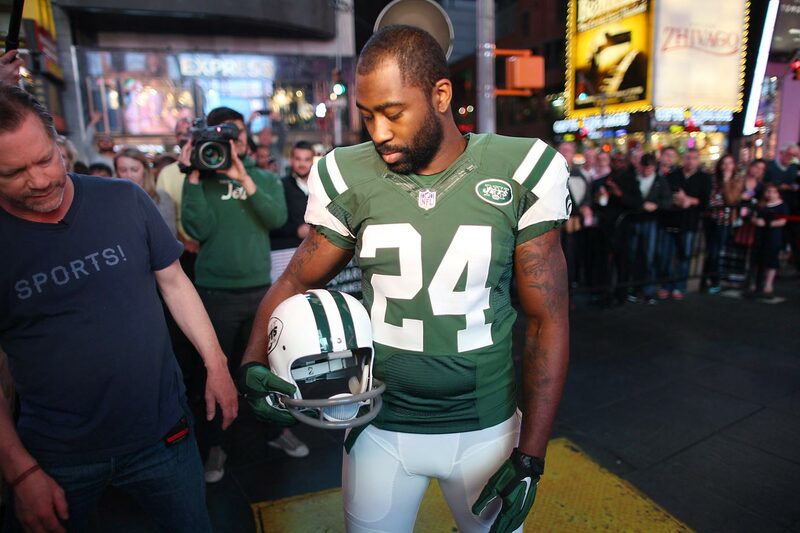 “I hope the world knows the option was never going to happen,” Revis says. To those who believe Revis plays football only for money, here was proof that he does not: He took $12 million from the Patriots, and they won a Super Bowl together. Both sides got exactly what they wanted. 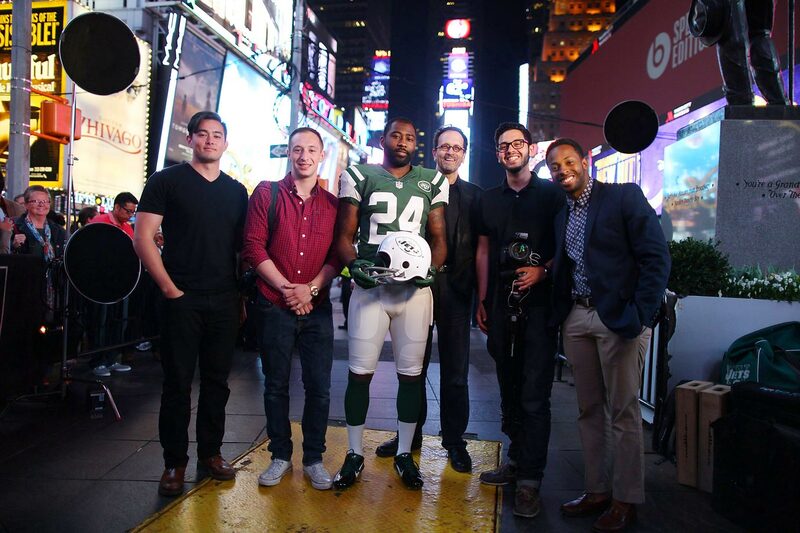 “All right, that’s cool,” Revis said, in typical understatement. But that’s exactly what happened. And here’s the crazy part: Revis says he wasn’t 100% healthy until roughly Week 4 or 5. In Tampa he’d concealed the doubt that consumed him—the way his leg fatigued in the middle of games, the interceptions he missed when his foot speed failed him. He compares it to playing a whole year hampered by Kryptonite. Then Revis did to the Patriots what the Patriots do to so many players for whom they no longer have any use. He cut ties without sentiment, signing instead with the hated Jets. In April he joined his rivals-turned-teammates-turned-rivals-again as they traveled from Foxborough to their White House visit. He was nervous, but they embraced him. President Barack Obama greeted him like an old friend. “Hey, Revis Island,” Obama joked. Revis stares at the Hudson River from a bench on Manhattan’s High Line park. The next day he will return to Aliquippa to watch his son play T-ball. 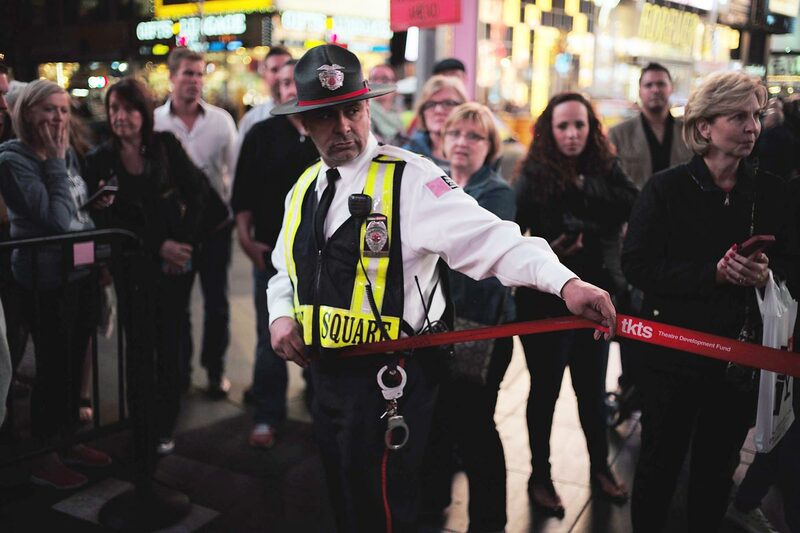 New Yorkers pass in every direction, with their artisanal pickle jars and ice cream cones. Revis does not notice them. “I want to change the system,” he says. He knows it’s not that simple. Gilbert ran for the NFLPA’s executive director position in March and lost to DeMaurice Smith, the organization’s head since 2009. Revis claims no issues with Smith. He served as one of the Patriots’ alternate NFLPA reps last season and says he’d welcome the same role with the Jets. But he does think players need to be better educated about the business side of football. They are the ones—not the execs—he says, who will someday pay a physical price. His uncle had 15 surgeries and today carries six screws in his right hip. He’s in pain all day, every day. 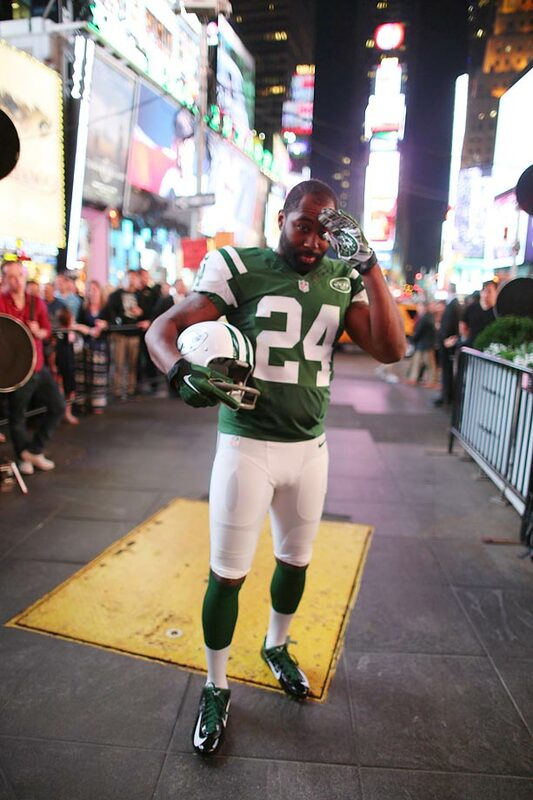 He deserves, Revis says, every penny that he fought for. 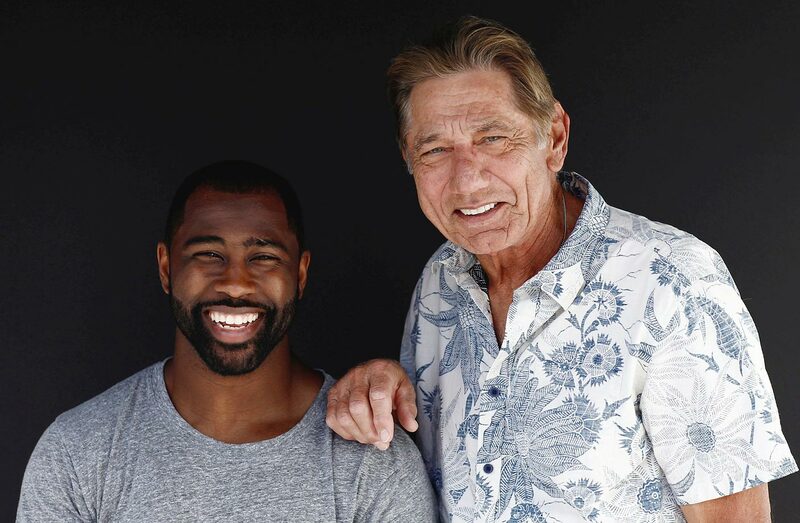 Here are some behind-the-scenes photos from SI's cover and feature shoot with New York Jets defender Darrelle Revis, who replicated the famous Joe Namath cover from 50 years ago. Revis hesitates in even addressing all this because it obscures what makes him so valuable in the first place. He’s a true cover corner—arguably the best today—in an era when rule changes have favored receivers more than ever. By shutting down one wideout, or one side of the field, he lends flexibility to the rest of any defense. Every team worries about how its players will respond when they sign big contracts. When healthy, Revis has responded with Pro Bowls and, last year, a Super Bowl. He’s the same guy that linebacker David Harris remembers from their rookie season together with the Jets. The guy who nearly came to blows with an undrafted free-agent receiver because the wideout, who had yet to learn the offense, had run the wrong route, and Revis wanted to practice against the right one. “Best in the game,” Harris says. About two dozen teams reached out after Revis became available this off-season, including the Chiefs, Packers, Ravens and Steelers. 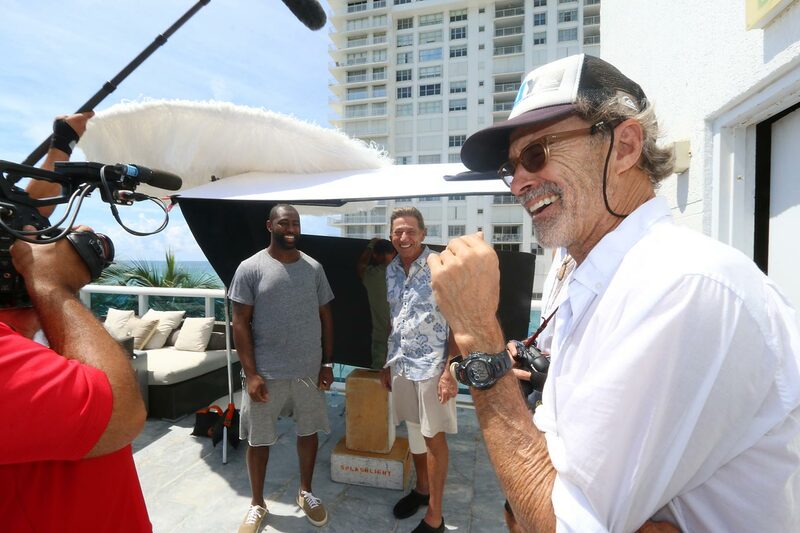 The Revis Mafia gathered in Florida, at Schwartz's condo above the Atlantic, to finalize a deal not with a new team but with an old one—the Jets. This deal was, in large part, about the money (the Jets did finish 4-12 last seasob), plus long-term security and a return to New York. “I know you guys,” she said, and everyone laughed. “We’re coming home,” Gilbert responded. The group celebrated with pasta, seafood and wine at a nearby restaurant. The Jets sent a private plane the next day, and Revis flew to New Jersey, where he set up temporary residence in the Hyatt near the team’s facility. Among the first people he saw when he arrived was Juan the janitor. “I hit Juan with the Hola and kept moving,” he says. 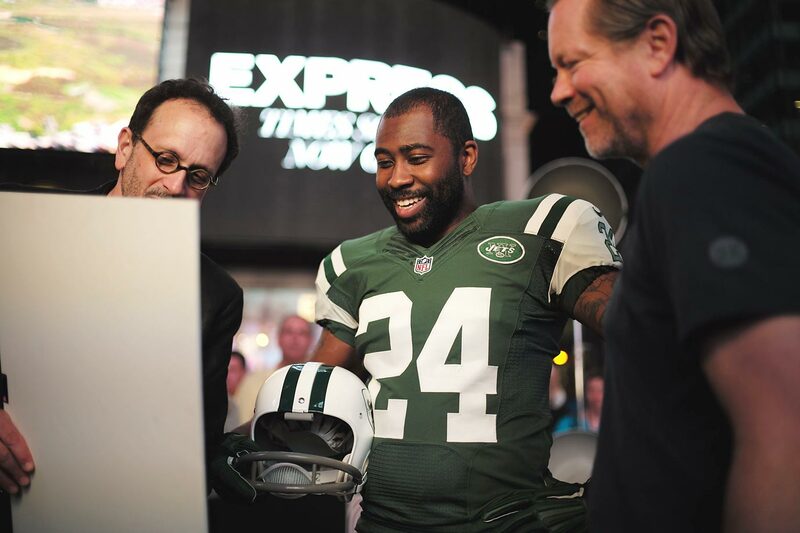 The Jets made the average yearly salary of Revis’s contract $14,024,212—24 for his jersey number, 212 for Manhattan’s area code. And with that, Revis once again became the highest-paid cornerback in professional football. Teammates welcomed Revis to the locker room as if he’d never left. Center Nick Mangold chided him for the car that he believes Revis owes him (long story). Harris wrapped him in a bear hug. 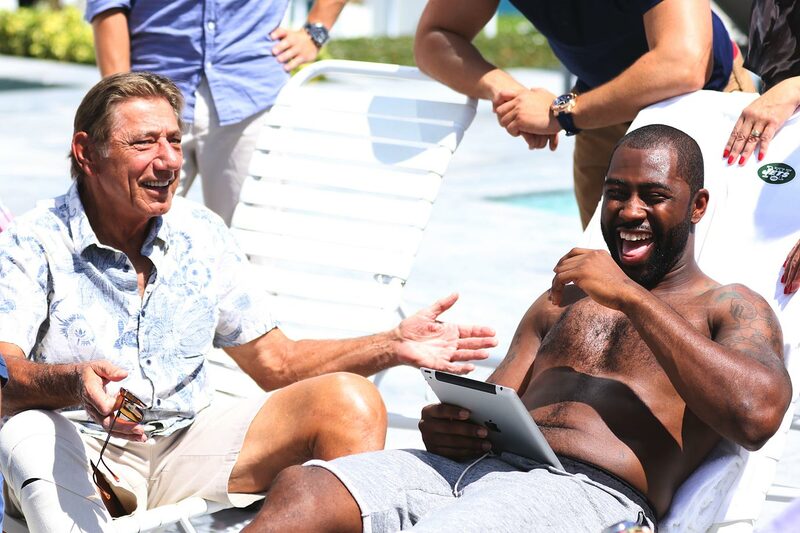 Revis thought back to his conversation with Tannenbaum, who is now the executive VP of football operations for the Dolphins, and the promise he made in 2007. No one seemed happier, though, than Todd Bowles, the Jets’ new coach. The defensive guru entered free agency hoping to overhaul his secondary, and he added three corners—Revis, Antonio Cromartie and Buster Skrine—to a unit that allowed 31 passing TDs last season, third worst in the NFL. Together they’ll anchor a formidable D on what looks like a borderline playoff team. In May, Revis returns to Times Square. This time he is in uniform. This time he does not go unnoticed. A superhero with Super Bowl aspirations, he strides past barricades, policemen and red tape, into an area cordoned off for a photo shoot. He’s just like Namath from 50 years ago, when Namath posed beneath the neon lights with a Jets helmet underneath his arm. Teammates placed that iconic Sports Illustrated cover around the locker room to tease the 22-year-old QB. One player even called him Broadway—Broadway Joe. The name stuck. On the set, Namath’s daughter Jessica and Revis’s mother check in with the original Broadway Joe on Skype. Revis stands behind them. The photographer aims his camera. A double-decker bus honks. “Welcome back, Darrelle!” the driver says into the microphone. Everything is different, and yet some things never change. Revis may be the best defensive back in football, he may be the best negotiator in team sports—but he remains beholden to the first and most important team he ever played for. They both laugh. 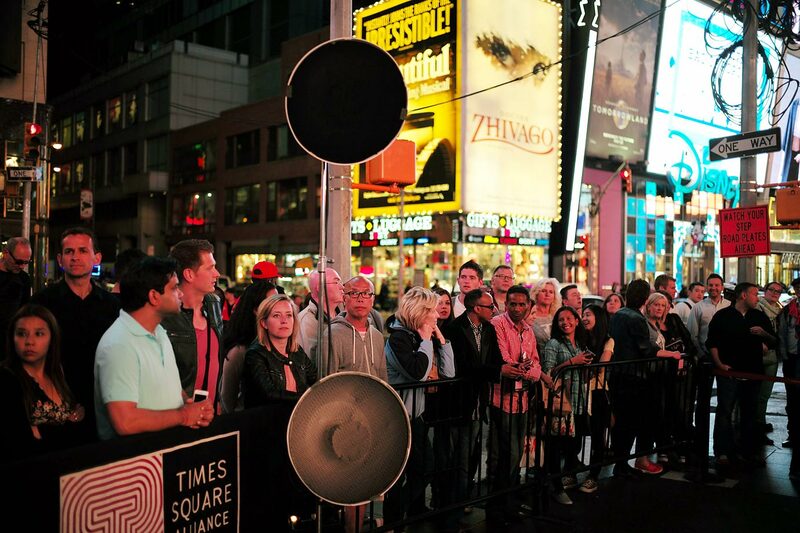 In the background, a man holds aloft a sign: jesus loves you—repent. Cops on horses pull close for a better view. A group of teenagers offers Revis a slice of cake. There’s no Minnie Mouse in sight, but it’s chaotic and surreal, and that’s what Revis wanted. To come home. It’s harder to put a price on that.